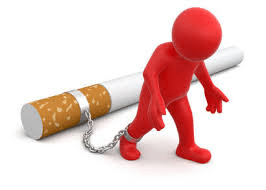 I have had many people come to me for quit smoking and have said that they have given up drugs, some of them quite hard drugs, but they can’t seem to quit smoking. I believe that this comes down to the fact that our brains are extremely primitive. As wonderful as the brain is there is still a lot of it that acts as if we are in the caveman times. If you are being chased by a great big sabre toothed tiger then your chances of survival are much better if you are in a group. Because of this there is always an urge to fit in somewhere. When I ask people why they started smoking they will say, peer pressure, friends smoked, parents smoked, it was the cool thing to do etc. When you have your first cigarette the conscious mind goes, “this is great I’m fitting in”. The conscious mind then transfers this habit to the unconscious mind. On the way the mind goes; by smoking cigarettes I’m fitting in, I am part of a group, by being part of a group my chances of survival are higher. With this the unconscious mind now begins to think that by smoking cigarettes it is linked to survival. Survival is an extremely strong instinct in humans and that is why the habit of smoking has such a strong hold. The reason why hypnosis is so successful is that it allows us to change the programming in the unconscious mind. It allows us to fill the gap in the unconscious mind that is left when you do quit smoking. It addresses the cause and not the symptom. Stopping smoking makes sense but make sure that you really want to quit before you attempt to stop smoking. Give yourself every chance of success when you decide to quit the habit of smoking.